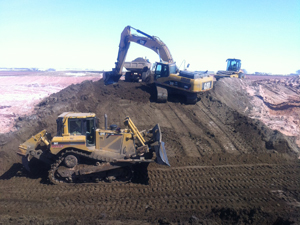 Maxie’s Excavating has been moving earth in Saskatchewan for over 40 years. 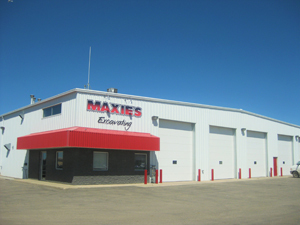 A privately owned business founded by Julian and Ann Dziadyk, Maxie’s has been operating out of Saskatoon since 1972. 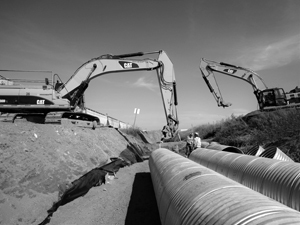 Our focus is on civil earthwork construction for the public and private sectors, aggregate processing and supply, demolition, and land development. 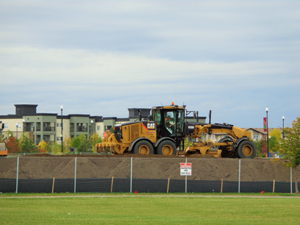 Our strong customer relationships, extensive experience and solid reputation as a reliable contractor have helped us grow to be one of the largest excavation companies in the province. SAFETY: Committed to ensuring a safe, healthy work environment by integrating safety and risk management into our daily operations. INTEGRITY: Maxie’s is a company built on trust and we adhere to the values of quality, honesty and hard work. RESOURCEFULNESS: Our company motto is “We Make it Happen”, and we do--every time. CUSTOMER SATISFACTION: We listen. Our pledge is to build lasting relationships with our customers by exceeding their expectations and providing the highest level of service and quality. TEAMWORK: Our people are our greatest asset. The combined strength and knowledge of our employees allows us to tackle challenging projects and succeed.